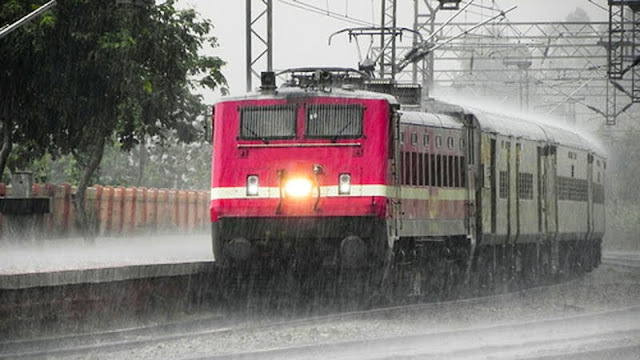 Trains will follow the monsoon schedule of Railways from June 10 to October 31. As per the schedule, Train 12617 Ernakulam-Nizamuddin Mangala Express will have an early start from Ernakulam Junction at 10.45 a.m. instead of 1.15 p.m. Train 12224 Ernakulam-Lokmanya Tilak Duranto Express will have a delayed start at 11.30 p.m. instead of 9.30 p.m. During the period, Train 16337/16338 Express trains between Okha and Ernakulam will be partially cancelled between Hapa and Okha railways stations. While there will be no change in schedule of other trains starting from Tirunelveli, Nagercoil, Thiruvananthapuram, Kochuveli and Ernakulam Junction and passing through Konkan Railway to various destinations, timings of these trains after leaving Mangaluru Junction will be delayed. Similarly, trains originating from various railway stations and reaching Ernakulam Junction, Kochuveli, Thiruvananthapuram Central, Nagercoil, and Tirunelveli after passing through Konkan Railway will be changed as per the monsoon timings.